Neptune Systems is adding yet another AquaController to their lineup, this time with the Apex Jr. This new controller is packed full of features, including a built-in Ethernet port, email and text message alarms, and is iPhone application ready. 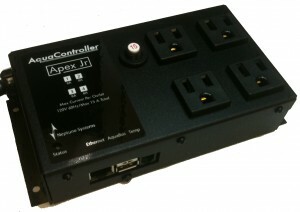 The Apex Jr. will have four independently controllable 120V outlets, as well as a two port AquaBub hub that can be expanded to use a total of five AquaBus accessories. The Apex Jr. will have all of the same monitoring, control, and configuration features as the Apex and Apex Lite, and will even share the same Apex display module as its two bigger brothers, but this feature rich controller is only $150. 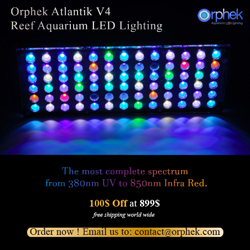 Update: Neptune Systems has confirmed that the Apex Jr. will be available to aquarium hobbyists in late May. Additionally, the display unit will be sold separately, for approximately $100. A full list of features native to the new AquaController Apex Jr. can be seen below. All AquaBus accessories work with the Apex Jr.